Bacon-ends: contemplate that. I spied a bag of bacon ends at the farmers market and had to examine. The bag was hefty, lumpy, and thick with triangular hunks of bacon mounded in vacuum packed togetherness. Bacon indeed, but not the typical neatly fanned skinny slices. You see, when those tidy OCD sliced packages are created, all irregular knobs and ends are discarded in order to produce supermarket packaged perfection. I am here to tell you that you want those ends. They are veritable chunks of heaven for bacon lovers, evoking food craving delirium. Of course I bought them. 1. Prepare the grill for indirect medium heat (about 400°F for a gas grill). Trim any excess fat from the bacon ends. Cut the ends into 1-inch chunks and arrange on a grill rack (or grate) set over a grill pan to capture the rendered fat. Grill until the fat is rendered and the ends are crispy golden, about 25 minutes. (You can do this in the oven with a broiler pan, if you like.) Transfer the ends to a plate. 2. Toss the bread in the rendered fat and lightly season with salt. Spread the bread on a grill pan or the grates and grill until golden and crisp, turning as needed. Set aside. 4. Place the salad ingredients in a large bowl. Add half of the dressing and toss to coat. 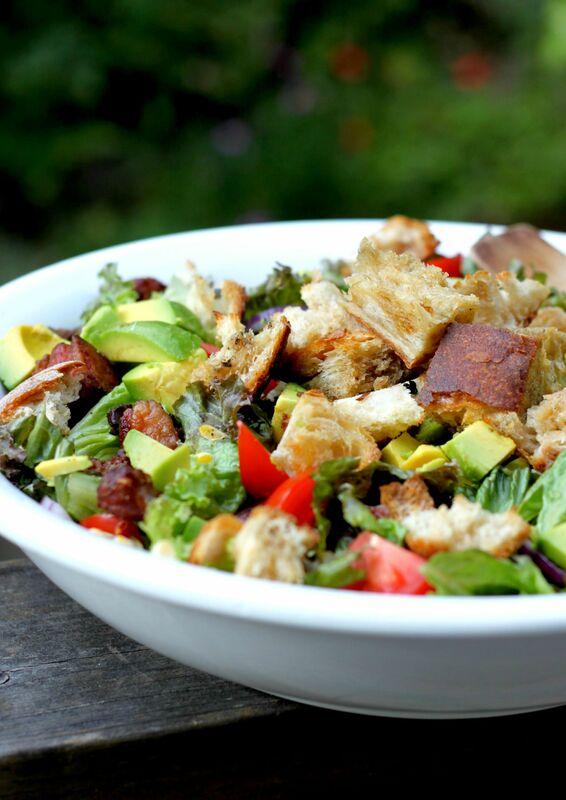 Scatter the bacon and croutons over the salad and drizzle with additional dressing to taste. Serve immediately. Your photos are beautiful and make the salad look so appetizing! 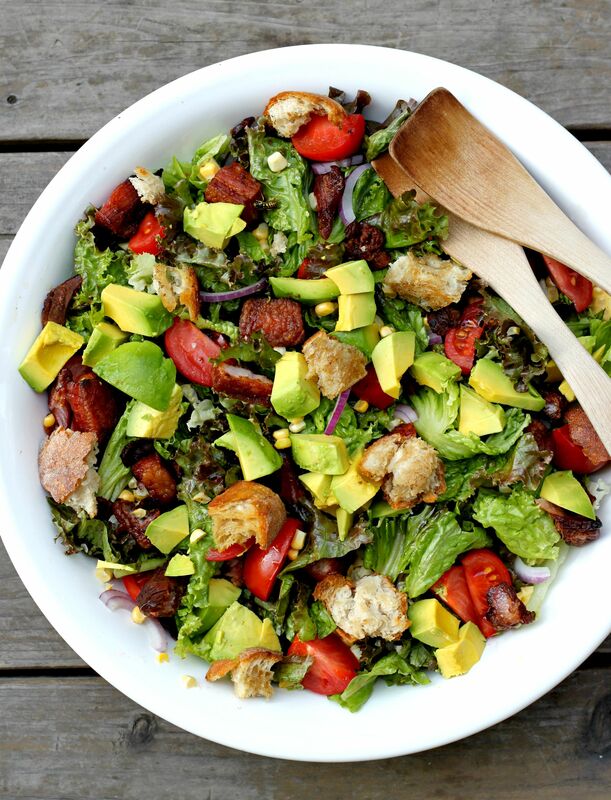 What a perfect salad for entertaining. Summer on a plate! And who could resist bacon? Well – this is completely irresistible – and will be appearing on my plate in my kitchen sometime very soon. Thanks for the beautiful inspiration! We have a Food 4 Less that sells bacon ends. I buy them to use in beans, but I love the idea of a BLTA salad. Will try very soon.